Strawberry plants are so much fun to grow in the Spring. Once they are fully-grown, you can have them with cereal, make a strawberry shortcake, or pop them in your mouth for a sweet, healthy, treat. 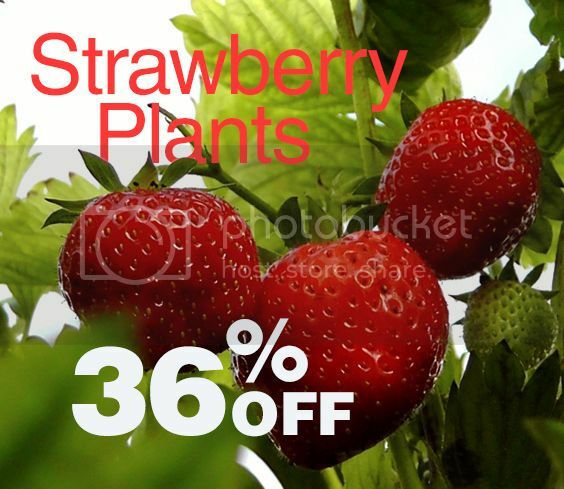 Bloomingbulb has a nice assortment of strawberry plants available now for thirty-six percent off. Here are some of the strawberries you can purchase now from Bloomingbulb. They will be shipped according to your hardiness zone so that you can plant them at the correct time. Spring is here so they will be shipped pretty quickly. Happy Gardening! Disclaimer: This page has affiliate links. I only link to products that I love and would buy and highly recommend. Each product has been researched for customer satisfaction and quality. Thank you for your support of this blog.